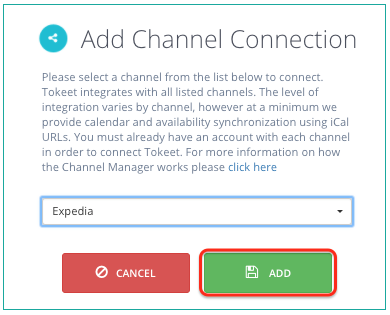 Send a message via the "Contact us" form, and ask that Tokeet is designated as your channel manager. Please include your Expedia Hotel ID with your requests. Please make sure you have rental rates defined for your rentals first. 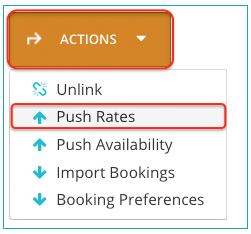 You will need to push rates from Tokeet to Expedia as part of the connection process. 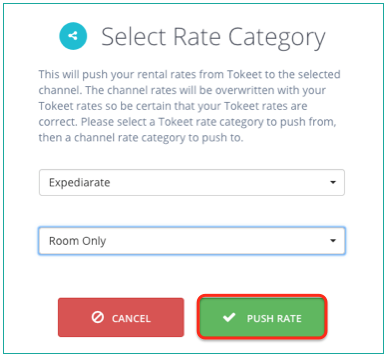 Now, add your Expedia connection in Tokeet. This process is illustrated below. 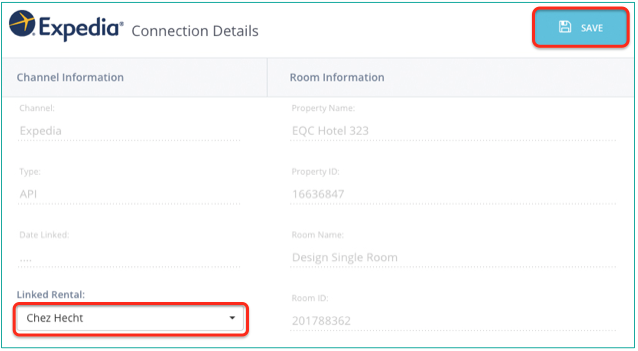 Select Expedia and click "Add"
Enter in your Expedia Property ID and click "Save"
From the orange Actions button, "Import Bookings." This will import events from your Expedia calendar into Tokeet. 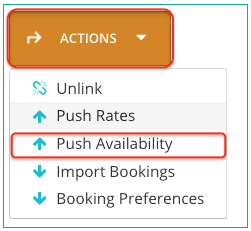 From the Actions button, "Push Availability." This will publish your updated Tokeet calendar to Expedia. That's it! Your Expedia connection is now active. 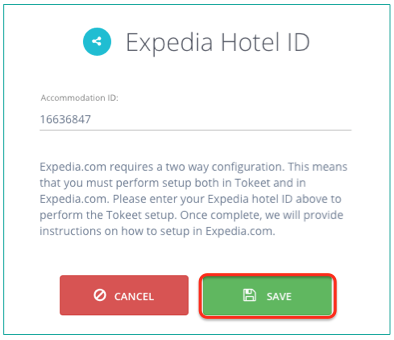 Repeat this process for all of your Expedia connections.